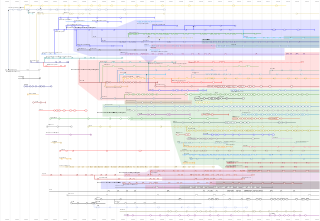 I love this visual timeline of Web browsers because it shows where we’ve been, where we’re at and where browsers have converged, diverged, and switched things up. Thank you Internet! I shared similar thoughts in my post A Fundamental Disconnect. Yes, many women are angry, and injured, and our public seething will make you uncomfortable. Sit with that. Let it wash over you, and through you. Breathe, and feel the urge to squirm, and choose to be still instead. For we who have been living with this discomfort our whole careers, you can handle not-reacting for a few minutes. We need to listen in order to be aware. We need to reflect in order to understand. And when we do that, we can recognize forms of oppression and disrespectful behavior, identify it as such, and stand together in declaring it unacceptable. This is a handy interactive, mash-up reference for the WCAG 2.0 accessibility guidelines from the W3C and related recommendations from WebAIM. Thanks Viget! In this extensive piece, PPK does a brilliant job voicing the thoughts and feeling I think a lot of us front-enders have when it comes to Angular. You should do yourself a favor and read the whole thing. Seriously. Especially if you are in IT in a large company that is using or thinking of using Angular. Seriously. This is a beautiful account of the struggles of bringing cellular networks to poor, rural areas that are uninteresting (e.g. unprofitable) to the major providers. Articles like this are a great reminder of how fortunate we are and how our experiences are not universal. They help us empathize with the struggles others must overcome to participate in the “modern world”. Great design often disappears, leaving the user with no more than a simple and intuitive experience. When I was studying graphic design in the late ’90s, there was a dream that as a designer, if you were good enough, you might create an archetype for the age—the sorts of things you see in Mad Men , artifacts and images that characterize an era. But when I graduated, it became abundantly clear that when people looked back on the decade to come, they would not be looking at record covers or chairs. It was going to be glowing rectangles and software. People would remember the aesthetics and noises of operating systems, the first time they pinch-zoomed something, the aesthetics of Google Maps, the Nokia ringtone, and Candy Crush Saga. All public (i.e. non-intranet) sites will render in “Edge mode” meaning they get the latest standards implementation. Note: It will ignore X-UA-Compatible version targeting. CSS Interaction Media Queries (Level 4) - pointer type & hover testing! ECMAScript 6 features including classes, promises, iterators, the arrow function, Math utility functions, Number utility functions, Object utility functions, String utility functions, Object literal enhancements, spread, template strings, symbols, proxies, and weak set. Pretty awesome stuff! What do you want to see in future versions of IE? You can post your thoughts and votes on UserVoice. If—like me—you’re on a Mac, you can run the latest version of IE via RemoteIE. Haven’t heard of it? Rey Bango has a great write-up of how to set up RemoteIE on Macs, iOS, and even Android.